It isn’t over until it’s over, and some of these sports teams were inspired to victory despite looking down and out. 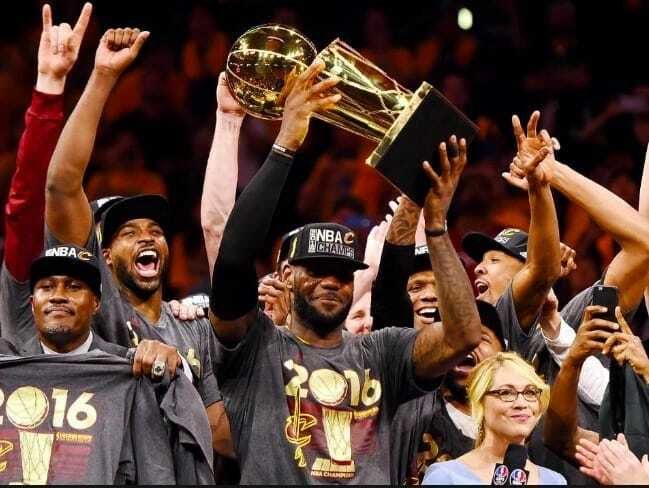 These are the greatest sporting comebacks in team sports history. Milan were at the top of the soccer world, and their team was filled with stars. Liverpool were not as strong, and their team was patched together with average players. It was a miracle they made the final in the first place! The teams were facing off in the 2005 Champions League final and Milan had raced to a 3-0 lead. It was over as far as the experts were concerned when the two teams went off the field for halftime. In the second half, Liverpool came out full of enthusiasm and scored a goal to start the comeback. Within minutes the scores were level. 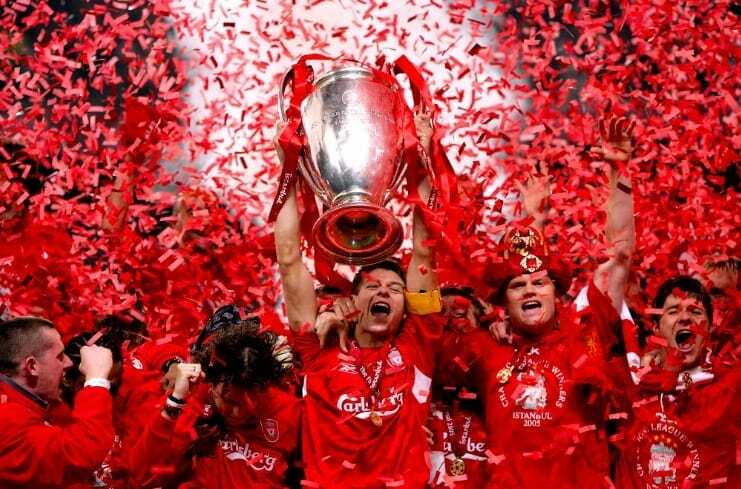 Liverpool went on to win a dramatic penalty shootout and complete the greatest comeback ever in European soccer. The Golden State Warriors were the most dominant team in the league and raced ahead to a 3-1 lead in the Final series against the Cavaliers. The Cavaliers’ backs were against the wall, and there was no room for error against the defending champions as their next defeat would mean the end of the road. Inspired by their star player, LeBron James, the Cavaliers rallied and took the next game in the series, and the next one, and the next one. It was all to play for in the final game of the series, but the Cavs had found their form. The Cavaliers won the last game 93-89 to win their first league title, becoming the first franchise to come back from a 3-1 deficit in the final series ever. This turnaround became known as the “Miracle of Medinah” as Europe overturned a 10-6 deficit on the final day. America just had to hold their nerve, and they would take the famous cup home, but Europe fought back. Europe won eight of their 12 singles matches and tied another, giving them an unassailable lead over America. What looked like a sure victory for America turned into one of the best ever for Europe. The Buffalo Bills were down by 32 points in the Wildcard game and didn’t even have their star quarterback. They were against the Houston Oilers, and the writing was on the wall for the New York team. What they needed was something miraculous, and that’s exactly what they got. The Bills had managed to draw level on the scoreboard, but there was still time for more drama. Bills fans had left the stadium with their team so far behind but streamed back in when they heard the comeback was on. 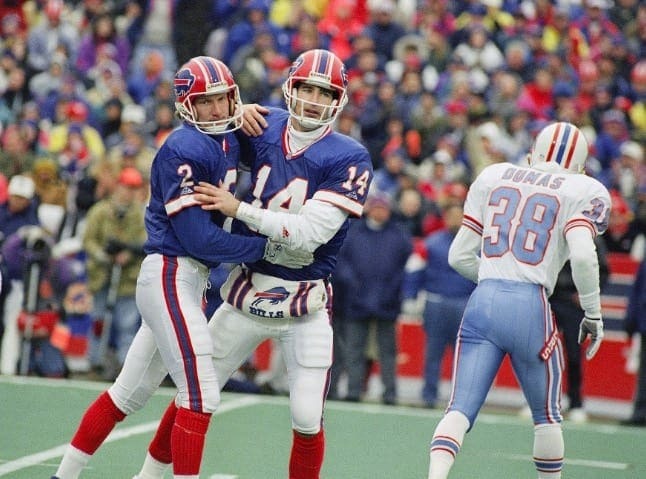 The game went into overtime, and the Bills secured victory with a field goal from Steve Christie. These teams showed that through togetherness and never giving up the impossible is possible. No matter the odds, if there is still a chance then you should never give up!